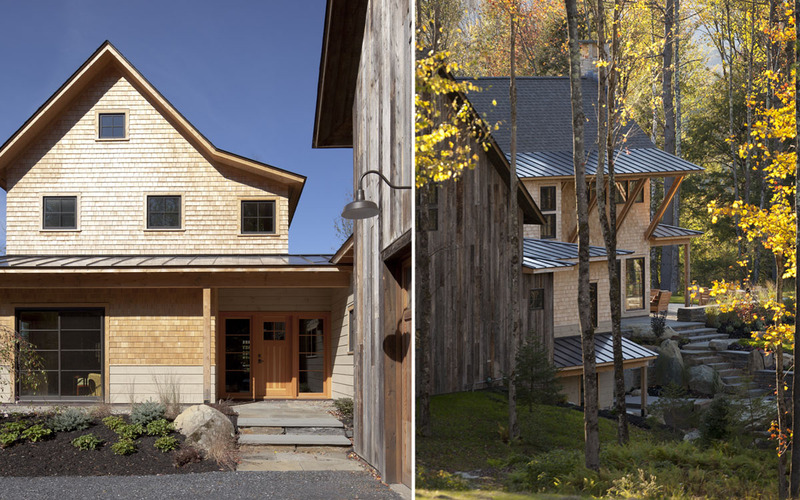 This house in Stowe, Vermont is an expression of the client’s love of the natural world. 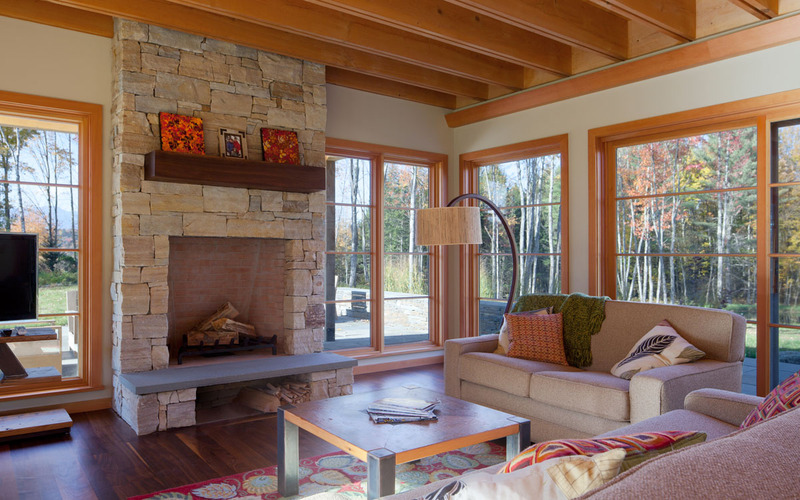 The owner’s joyful appreciation of the outdoors finds its way into the architecture, with the welcoming of natural light and the way the boundary is blurred between the inside and its natural environment. 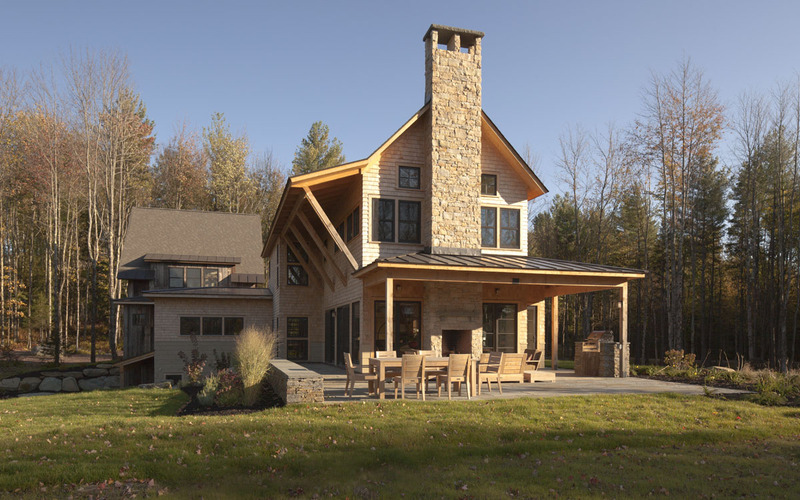 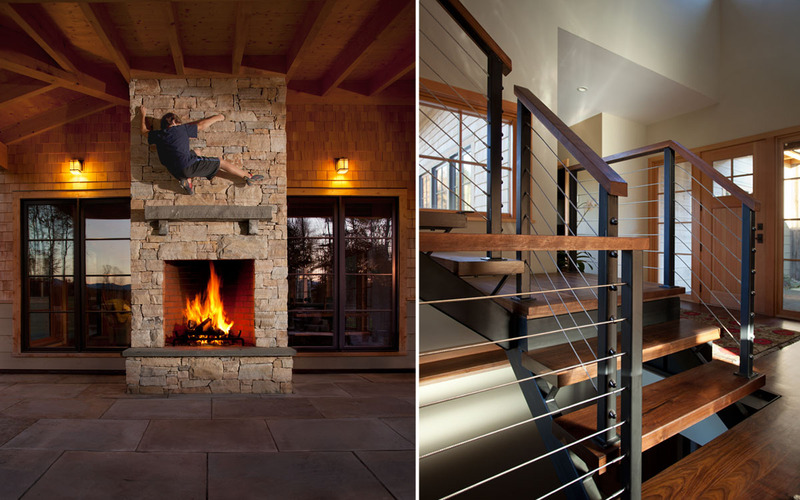 The design of this home is based on three main principals: authenticity, with a modern style that is rooted in the Vermont vernacular; simplicity, as the house calls attention to the world at large rather than itself; and honesty, in the way the structure of the house reveals itself in the timber frame of the floor joists over the living room.